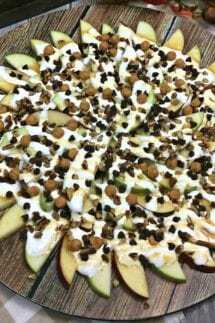 These Caramel Apple Nachos are the perfect dessert or snack! Sliced apples, drizzled with marshmallow and caramel and topped with chocolate chips, sprinkles, caramel bits and whatever else you can dream up. This healthy snack option (okay, healthier) makes me and my kids happy! See some more kids friendly and mom approved snacks that we love Fun and Healthy Kids Snacks and Creative School Lunch Ideas! 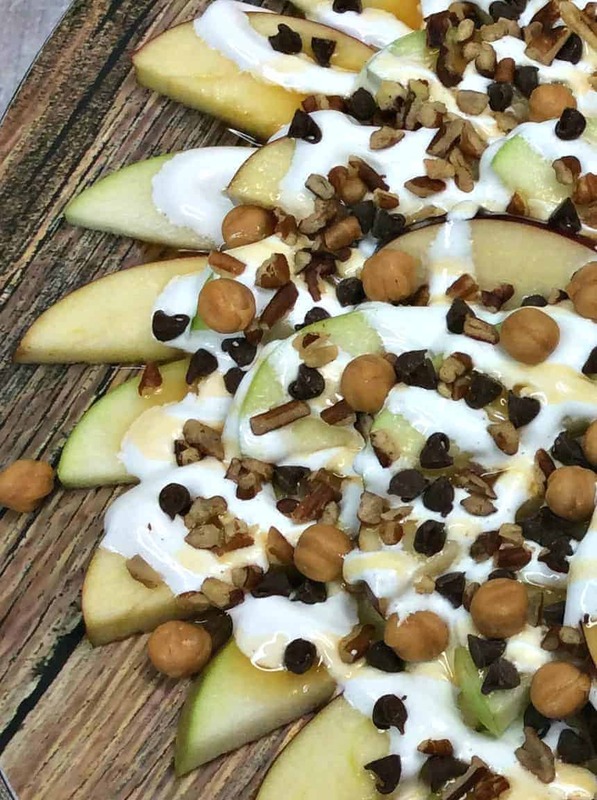 If you like caramel apples, then there is no way you will not love these Caramel Apple Nachos! They take all of the yumminess of caramel apples, but take away the one thing I don’t love – figuring out how to eat it without wearing it! I don’t know why, but I have such a hard time eating a caramel apple. Generally, when I eat an apple, I don’t like to bite into a whole apple, I prefer to cut it up and eat it in pieces. But, there is just something about caramel and nachos that I cannot resist! Our Caramel Apple Nachos make the perfect Halloween dessert too – you can even call them Halloween Nachos! While the toppings are maybe not the healthiest, this is a great alternative to candy and will get some fruits into your little one’s without much argument and did I mention that they are a no-bake dessert – WIN WIN! They also make a killer dessert for Thanksgiving! 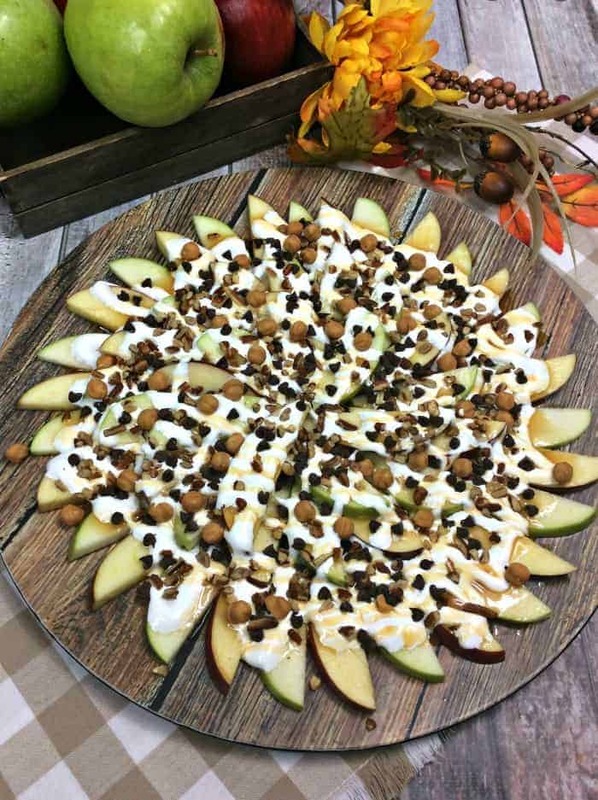 With all of the fresh apples around during the Fall, they are the perfect lighter dessert to serve after your heavy Thanksgiving dinner! 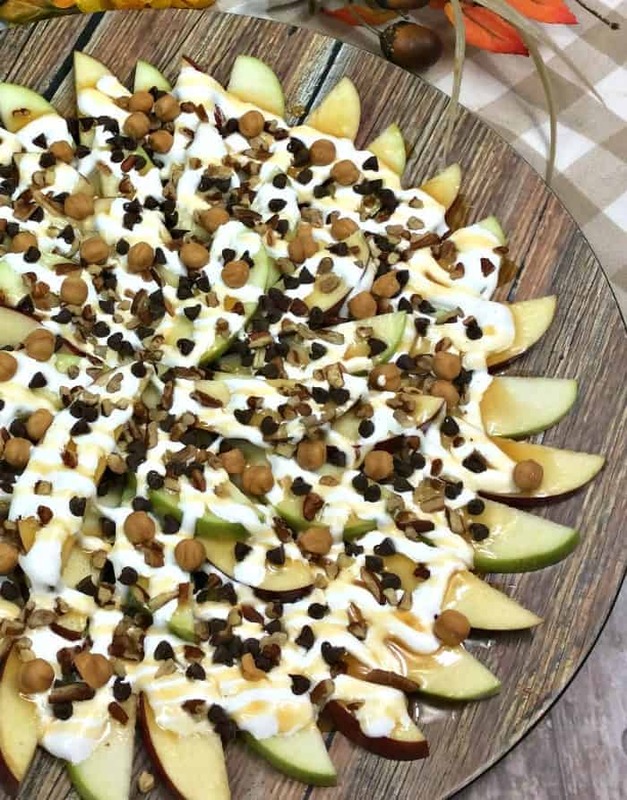 Here is the best part, Caramel Apple Nachos are ridiculously easy to make! I mean crazy easy! Place the marshmallow fluff in a pastry bag and drizzle on top of the apples. Drizzle the caramel sauces on top of the apples. Sprinkle your toppings over the drizzle. If you don’t have an apple corer and slicer – stop everything you are doing right this very second and get one right now. This makes the perfect slices and will make your work so much easier! 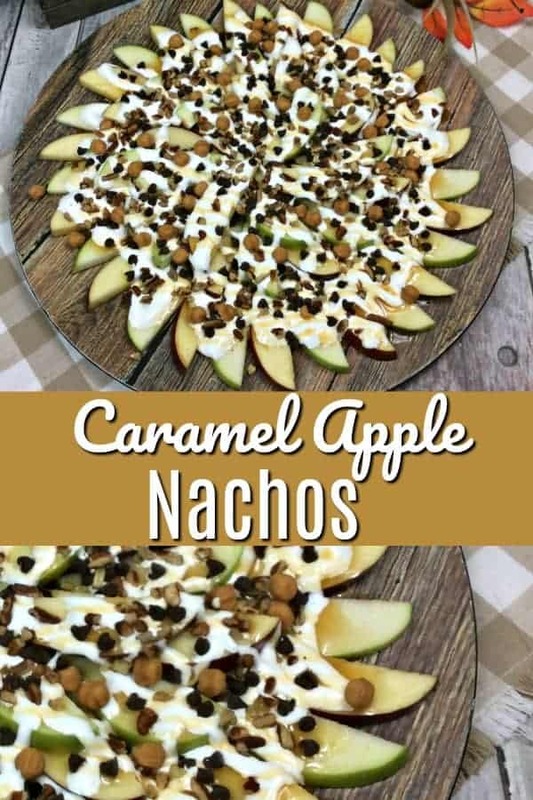 You are probably going to make your Caramel Apple Nachos some time before you are ready to serve them! As you have probably seen, apples tend to get brown pretty quick after they have been sliced. They are still totally fine to eat, but some people prefer not to have their pretty apple nachos browning! We have a process to prevent your apples from browning! It is easy to keep your apples from turning brown after slicing. You just need to add a quick and easy step after you slice them and soak them or spritz them with a little acidulated water before putting them on your platter. 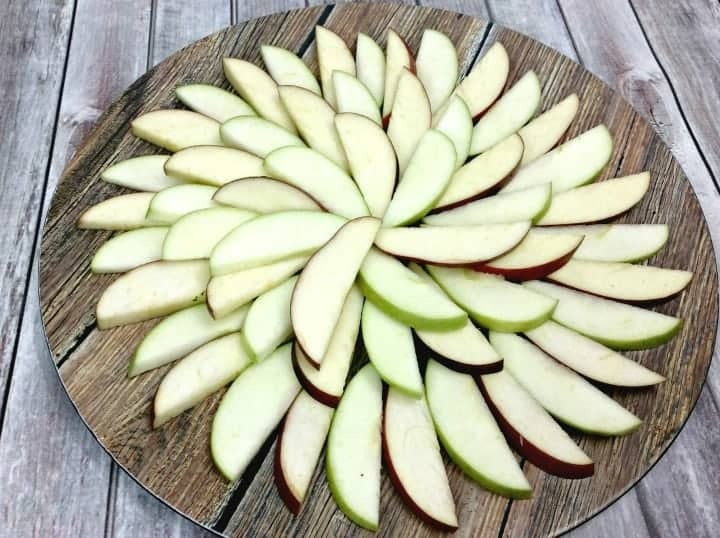 You can do this by combining about 1 tablespoon of lemon juice and 1 cup of water in a bowl and either soaking the apple slices in the mixture or put the mixture in a spray bottle and spritz them apple slices down. If you soak the apple, you just need to soak them for a few minutes and then pat them down with a paper or dish towel. If you put the solution in a spray bottle, you can actually keep it in the fridge and use it later on too!! If you prefer, you can make your own caramel sauce from, you guessed it, caramels. We opted to use store bought, but I do think the real stuff is a little better! Take 1/2 bag of caramels (unwrap the caramels – I know, obvious, but you never know). 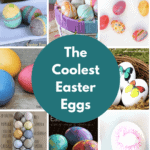 Place them in a small saucepan with 1 tablespoon of water and heat them on low to medium heat. Stirring constantly until melted and smooth. Place Kraft caramel baking bits, Nestle mini chocolate chips, and the crushed pecans in separate bowls. Set aside. Core and slice the the apples about 1/2 inch thick and place on a serving dish. Using a pastry bag with a tip spoon in the marshmallow fluff. Drizzle the marshmallow fluff and caramel sauce alternating each on the sliced apples. Sprinkle the toppings, mini chocolate chips, caramel baking bits, and crushed pecans on the apples. See tip above on how to prevent apples from browning. WOW!! This is absolutely GORGEOUS!! I bet it tastes amazing!! I can’t wait to try it!! These look incredible! I love the idea for a Thanksgiving Dessert! 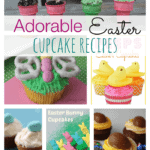 What a yummy idea, my kids would be all over these! This is a great idea! I also love those chocolate and caramel covered apples, so I know this is a winner! This is the ultimate fall treat!! And it’s so pretty too!